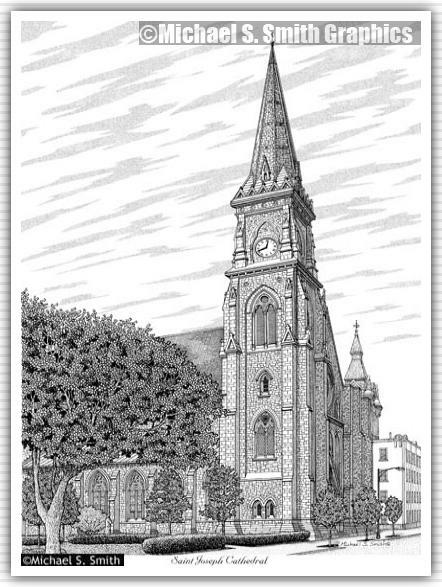 Completed in 1855 at a cost of $150,000, Saint Joseph Cathedral is located in downtown Buffalo, New York. The Cathedral's tower contained a 43-bell carillon at the time of its completion in 1869 and was the largest clarion in America and the third largest in the world. Currently all but two of the bells have been removed.